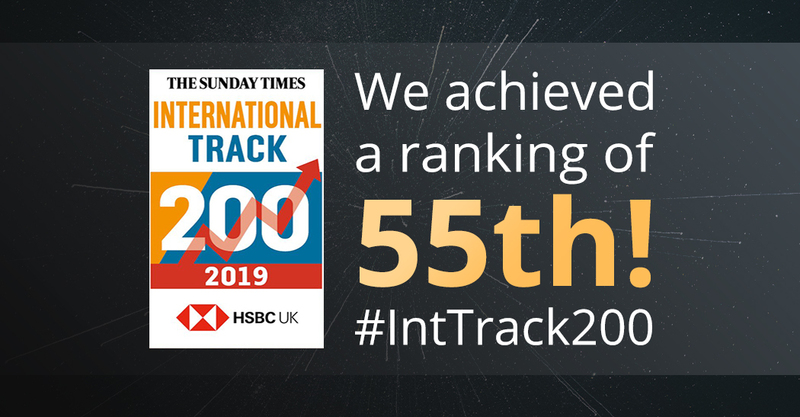 We are very proud to announce that we have been listed in The Sunday Times HSBC International Track 200. This list features Britain’s top mid-market private companies with the fastest-growing international sales and tracks performance over a two-year period. Our latest financial year ended with £13.6m in international sales; a 78% increase which places us 55th in the list. This follows a trend in our results of achieving double-digit growth in both turnover and international revenue since our inception in 2007, which is built on the many strong relationships we have with clients and candidates around the world. We are also very pleased to see that we are the 4th fastest-growing international recruitment agency in the UK, which is testament to our growth strategy and the hard work of our teams. We are listed alongside some of the country’s international success stories such as Gymshark, Brew Dog and bet365 and join list alumni including Aston Martin, Skyscanner and Lush.